The State Transportation Innovation Council (STIC) in Colorado is one of three recipients of the 2018 STIC Excellence Awards for demonstrating success in fostering a strong culture of innovation among stakeholders. The American Association of State Highway and Transportation Officials and the Federal Highway Administration sponsor the annual award to promote innovation. The Colorado STIC focused on activities to enable local transportation agencies to put innovation into practice, including a two-day Local Innovation Implementation Summit organized by the Colorado Local Technical Assistance Program (LTAP), a sponsored program of CU Boulder’s Department of Civil, Environmental & Architectural Engineering. After surveying agencies to determine the top five Every Day Counts (EDC) innovations to feature at the summit, the LTAP delivered sessions on safe transportation for every pedestrian, road diets, data-driven safety analysis, pavement preservation, and road weather management. One of the highlights of the summit was the hands-on, interactive technology and innovation displays incorporated into the event. City and county agencies also brought their innovative equipment and inventions. The summit promoted CU Boulder’s equipment loan program available to local agencies through LTAP to support innovation implementation and deployment. 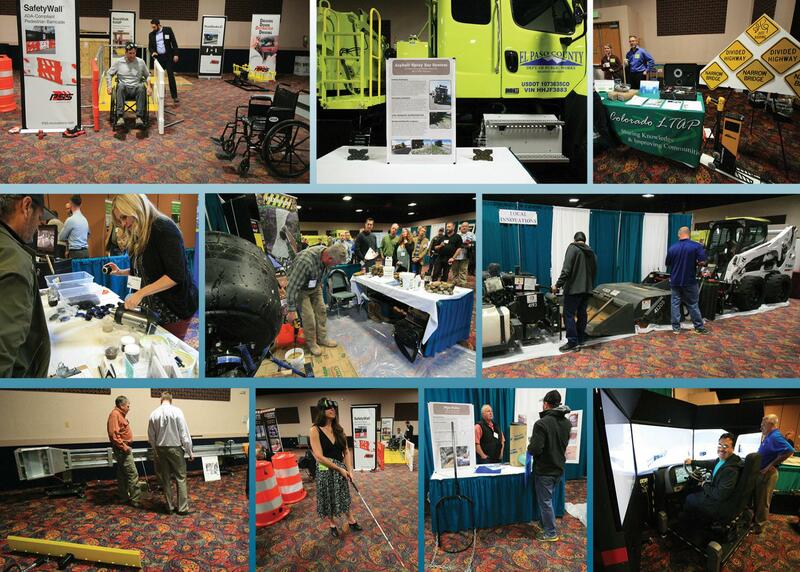 As a result of the summit, local agencies increased requests for the equipment loan program, several agencies expressed interest in developing local road safety improvement plans (LRSPs), and LTAP will host a similar LRSP Peer Exchange in December. Renée Railsback, director of the Colorado LTAP and a CEAE alumna, had provided the write-up about their innovation summit for the award application, and Professor Keith Molenaar was one of the official endorsers on the application. Professor Yunping XI is the University Administrator for the Colorado LTAP.